A rising share of Toronto condo investors are snapping up multiple units in hopes of capitalizing on rising prices and lucrative rental income. 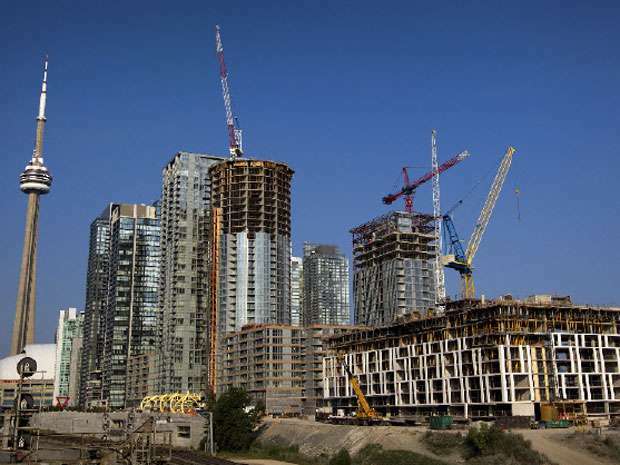 The Canada Mortgage and Housing Corporation found in a new survey that Toronto condo investors that have purchased at least two condo units in addition to their primary residence has risen nearly 13% over the past two years. Nearly a quarter of Toronto condo investors told CMHC that they owned least two units, with close to 10% reporting that they owned three or more condos. Among condo investors in Toronto, half told the federal housing agency that they had bought their investment unit for rental income. CMHC also found that when it comes to mortgages and down payments, condo investors looked a lot like the overall housing market. More than half had a mortgage on their investment unit, similar to the 59% of Canadian homeowners who carry a mortgage. However, there were important differences, with investors tending to carry mortgages in higher numbers than people who bought units for themselves. Three-quarters of condo owners who bought their units mainly for rental income had mortgages, compared with 54% of those who bought units for themselves or other family members.